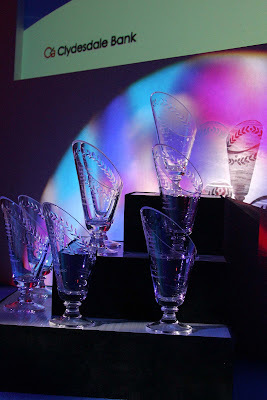 THE WINNERS of the Ayrshire Business Awards 2007/2008 hosted by Scottish Enterprise Ayrshire and sponsored by Clydesdale Bank have been announced at a gala ceremony at The Park Hotel, Kilmarnock. There was fierce competition in the eight categories. 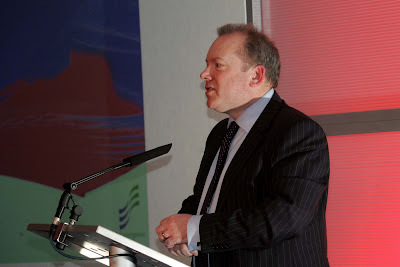 Scottish Enterprise Ayrshire operations director Evelyn McCann said the high attendance demonstrated the strong level of commitment from the public and private sectors to ensuring Ayrshire had a vibrant and dynamic economy. 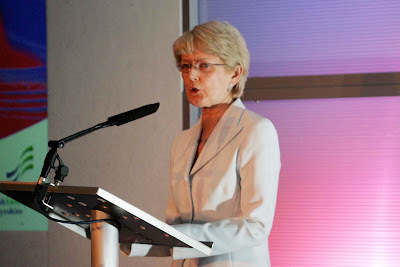 Evelyn McCann (pictured above) congratulated all the finalists and told the audience: “These business awards are a tremendous opportunity to recognise and showcase Ayrshire’s top performers. “In addition to overall performance, we focus on some of those characteristics that are likely to bring about business success – entrepreneurship, innovation and creativity, accessing international markets, utilising technology, and investing in skills and learning. 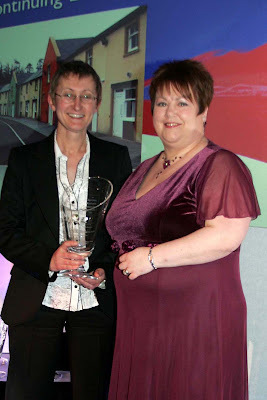 Pictured below: Susan Forrest receives the award from Christine Cochrane of sponsor GlaxoSmithKline. 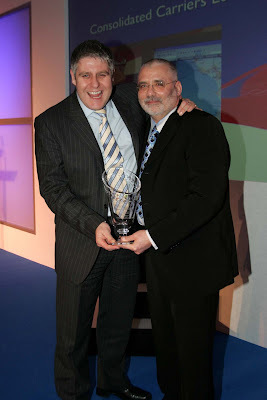 Pictured below: Colin Wilde receives the award from Gareth Paschke of sponsor The Park Hotel, Kilmarnock. 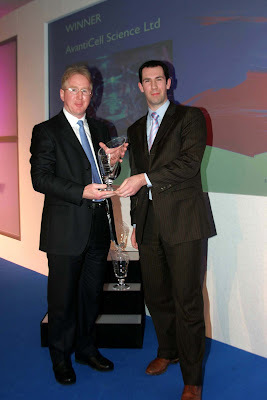 Pictured below: Callum Bastock receives the award from Frank Sweeney of sponsor Cunninghame Housing Association. 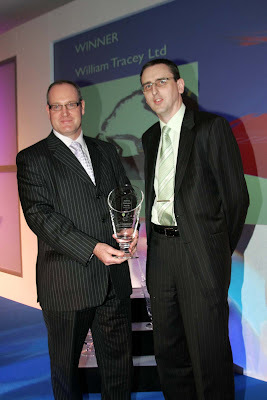 Pictured below: Les Gorst receives the award from Gordon Jenkins of sponsor Kilmarnock College. 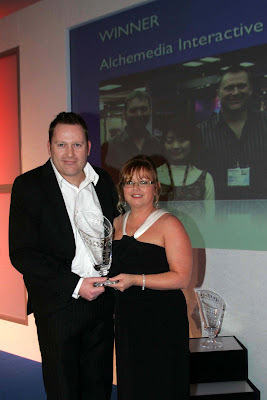 Pictured below: Steve Chambers receives the award from Brenda Ritchie of sponsor West Sound and West FM. 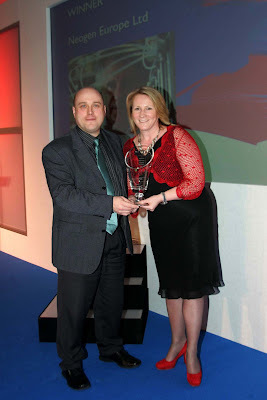 Pictured below: Nathan Elliot-Ling receives the award from Gail Anderson of sponsor Diageo. 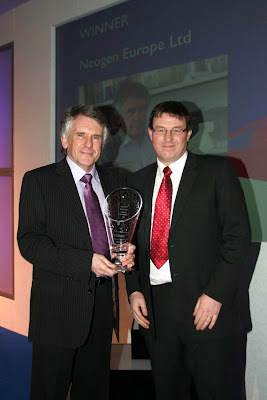 Pictured below: Stephen Holmes receives the award from David Kennedy of sponsor Clydesdale Bank. 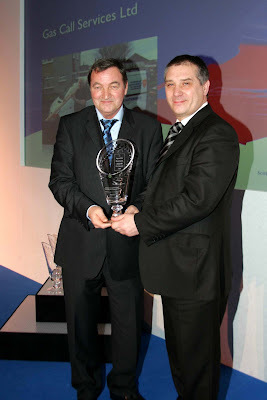 Pictured below: Graeme McDonald receives the award from Graeme Currie of sponsor Alba Smart Thinking and ICASS.